Even when we are not writing about death, we are in some way writing about it. 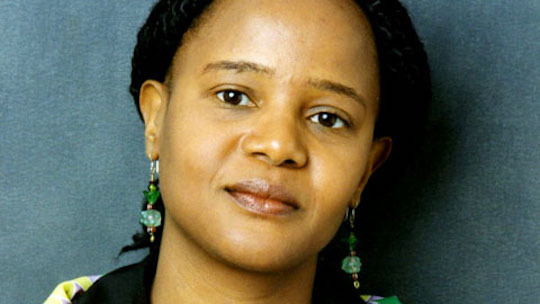 In a riveting interview with the world-renowned writer Edwidge Danticat—announced just yesterday as next year’s recipient of the Neustadt International Prize for Literature or the “American Nobel”—Romie Desrogéne poses incisive questions about life and death, and how art attempts to make sense of them. Danticat’s works have earned her a long list of awards and have been translated into numerous languages including French, Italian, Spanish, Japanese, Korean, and Swedish. Her most recent novel, The Art of Death: Writing the Final Story, was released via Graywolf Press this past July. Edwidge Danticat’s work creates spheres where the natural and the supernatural, the “isit” (here) and the “lòt bò” (elsewhere), the evil and the good, the historical and the fictional, the personal and the political, are in perpetual contention and symbiosis.